Your motorcycle is so much more than your mode of transportation. It is a way of life and a vehicle where you possibly spend a lot of time – so why not make it match your style? With our PowerPUC G5 Single-Color Kits, you’ll find just the look you’re seeking – and it will make all your friends jealous. These wildly popular motorcycle wheel LED light kits include everything you need to create outrageous designs on your wheels! 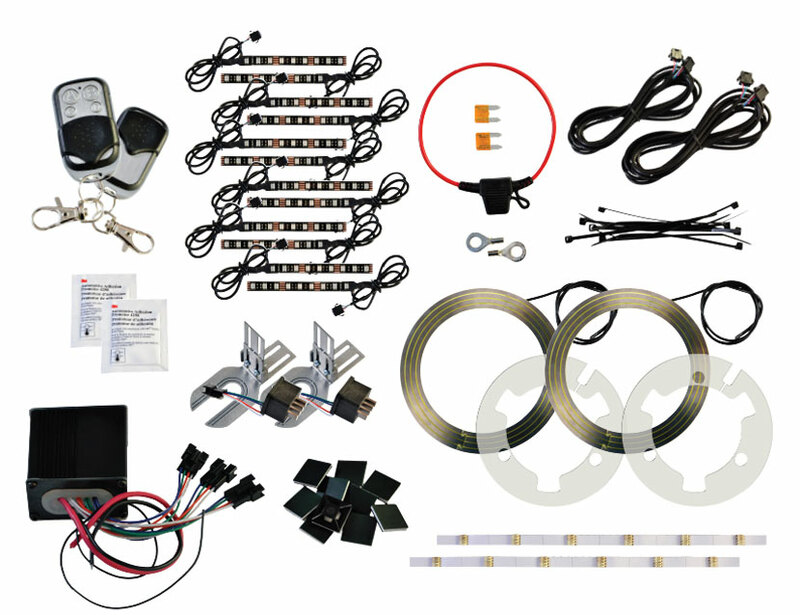 You’ll love these sportbike LED light kits, which fit almost every motorcycle. The LEDs install directly on your wheels, and you can choose between seven different colors. You’ll find the LEDs themselves are low profile, waterproof and flexible, and you’ll be able to install them without removing the wheels. Order yours today – you’ll wish you’d done it years ago!